Best buy in the month of May certainly goes to this unassuming 6d. With a Royal Philatelic Society saying that this stamp has a “Taunton / Cricket Ground” cds, I was expecting this to fetch around the £1’000 mark, so I was surprised to see it only fetch £392.45. You can view my attempted census of these cancellations here. Also a 6d of note was this example of a Board of Trade official perfin tied to a small piece. 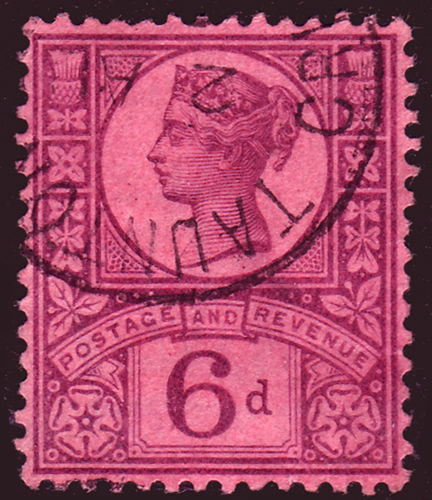 These stamps are scarce, and until they are listed by Stanley Gibbons, will remain relatively inexpensive. I picked this one up for £22.75 (as well as a 9d for a little less). Forgeries abound so I tend to pick them up only on cover (which is not inexpensive! 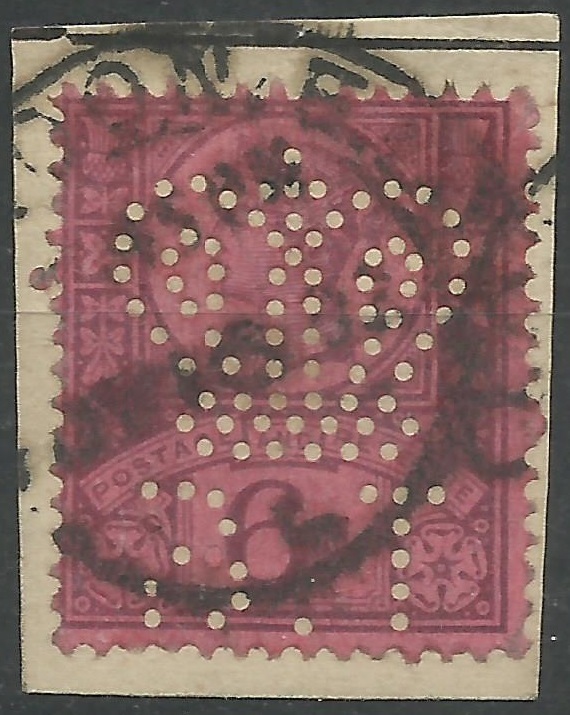 ), put the piece of paper and the hooded London cancellation are very typical of the genuine item, as are missing puncture holes, inverted perfins and reversed perfins. 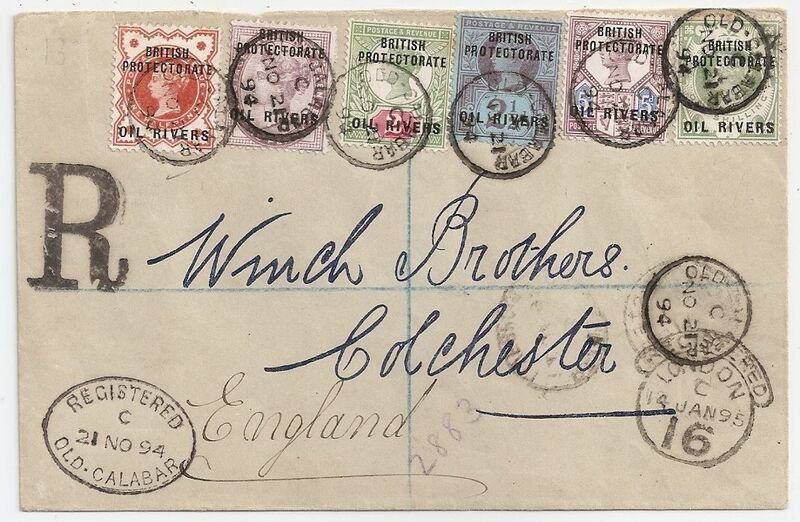 This slightly tatty cover (some would say well travelled) was sent at the 2 1/2d rate from London to Melbourne. 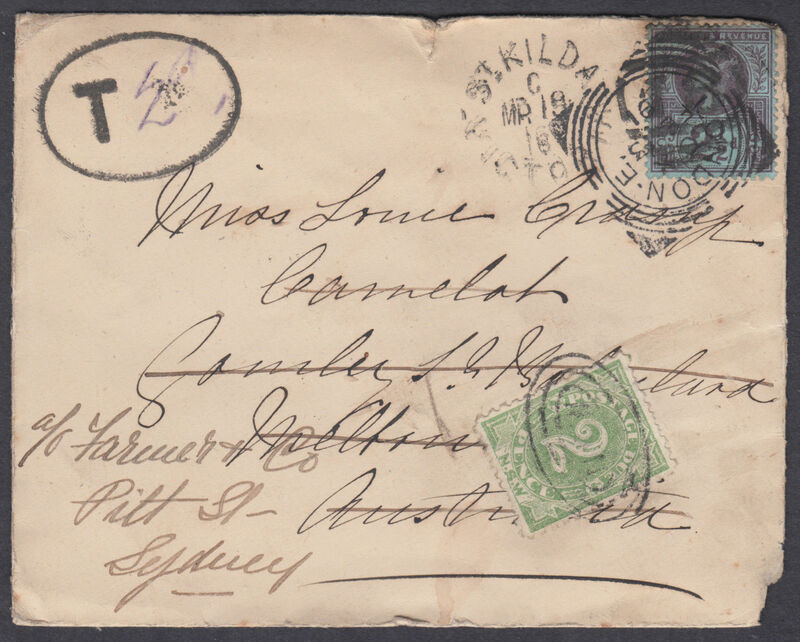 However when it was redirected to Sydney, the 2 1/2d was no longer valid and the charge of a 2d postage due stamp was added (1d for the postage and 1d for the fine). I have seen very few and wasn’t surprised to see it sell for £90.88. And finally, my “if only I had spotted it” cover of the month. 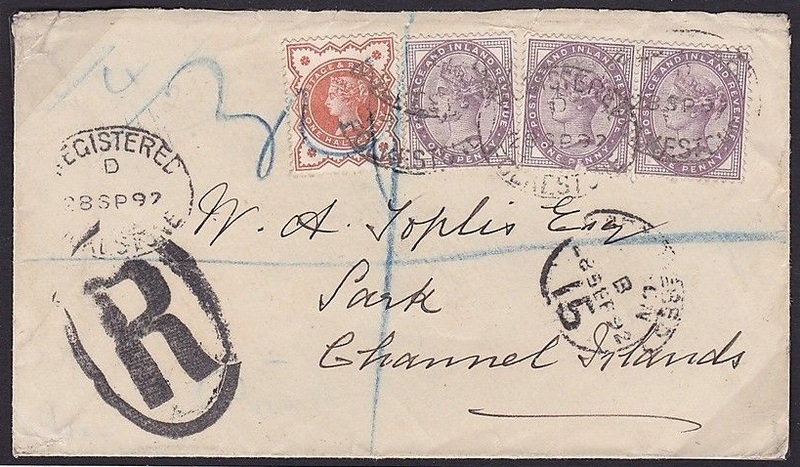 Incoming mail to the island of Sark in the Channel Islands is rare, and if I, or perhaps a more fervent Channel Islands collector had seen it, it would have sold for much more than £44.00!